When I sent my first impressions for publication last week, I was sure that my 20 hours with Horizon Zero Dawn had seen significant progress with its main story, and that I could finish up in a day or two. A few endurance runs and 30 hours later, I finally put the controller down to watch the credits roll. The rather long sequence gave me time to reflect. Normally this is where I’d take a look at my notes, scribble down some more stuff, get up and stretch and what have you. Instead I sat, my hands folded in front of me. And I contemplated. Horizon Zero Dawn, a game about a young tribal woman fighting robotic animals with a spear and a bow in the far future, told a more relevant and affecting story than anything else I’ve played in recent memory. 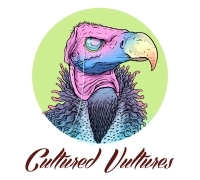 Within its ridiculously detailed, lovingly crafted setting live believable, flawed individuals and factions, each with their own distinct beliefs and ways of life, especially where their stance on the usage of technology and their treatment of the specter of the “Old Ones” are concerned. Its ultimate message is one of both love and caution – love for the world and its inhabitants, and caution against taking the environment and our advancements for granted. One need look no further than the absolutely jaw-dropping visuals to know how much reverence this game contains for the natural world. Desert badlands, snowy mountains and tundras, forests and jungles are all on display here. The lighting and particle effects deserve particular praise; hazy sunsets and brilliant moonrises over the mountains remind you how small you are, the snowstorms feel cold, the sand storms practically howl and bite through the screen, and I’d be embarrassed if I admitted how much of my playtime was spent in the surprisingly robust Photo Mode, wearing out my controller’s Share button. This is the best looking and best performing game I’ve seen on the PlayStation 4, bar none. In my first impressions, I spoke of my adoration of Aloy as a protagonist, and this only continued to grow as I forged ahead. Just as the combat, which focuses primarily on understanding each robot’s systems and weaknesses and figuring out which tools and abilities in which order will best defeat it, evokes a Witcher comparison, so too does the way Aloy is played as the player’s avatar. Aloy is her own person, with her own core personality, drives and beliefs. The three “stances” of conversation choices (friendly/emotional, clever/logical and aggressive/violent) all feel like believable facets of the same person, rather than starkly contrasting, character-altering diversions. There is no morality or judgement system and barely any gameplay ramifications for your choices, only your own feelings on how the other party responds to your input. To some this may be a negative, but I find it works in the game’s favor. This was never about the player’s journey; this is Aloy’s journey. She’s independent in every sense of the word; a favorite line of mine has her responding to someone calling her “Aloy of the Nora (Tribe)” by instead calling herself “Aloy despite the Nora,” something I laughed out loud at. It’s a clever one-liner that is really demonstrative of her character. 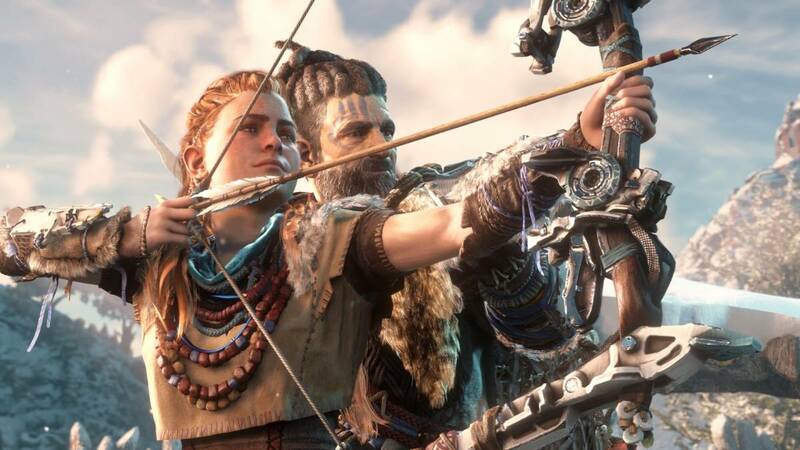 I hesitate to get into any more specifics as I believe this game really is best experienced as freshly as possible, but I will say that Aloy remains throughout a curious, sympathetic and refreshingly fun protagonist. Seldom is she grim or brooding, and is often called out on it by other characters when she is. Her sarcasm comes across as genuine and endearing, rather than the endless smug quipping that writers seem to favor these days. Much of this is owed to Ashly Burch’s exceptional performance, standing out among a cast that has no real weak performances and holding her own against Lance Reddick’s fantastic turn as important main character Sylens. Pay attention, everyone, because this is how you utilize celebrity voice acting in your big-budget game. Another larger factor that also contributes to Aloy’s endearing quality is the stellar animation work, particularly on our protagonist and the machines she fights against. Each machine takes inspiration from one or more animal archetype – raptors of the dinosaur and bird of prey kind, crocodiles, big cats, grazing herbivores, etc. Each thus takes animation queues from their inspiration as well as their appearance, and it is truly a terrifying thing the first time a Sawtooth (basically a giant robot panther) spots you and comes bounding towards you, closing considerable distances in what seems like an instant. Aloy herself has some impressive and subtle movement animation, in particular her transition to a scramble on all fours when climbing up steep inclines and the shuffle and slide she performs when descending such inclines, as well as the little spring in her step she gets sometimes when you abruptly run or the effortless hops she automatically makes over debris and low obstacles without player input. These and her freerunning animations not only serve the utilitarian purpose of demonstrating her skill at navigating the environment but also lend some personality to her physicality, further enhancing, however minimally, the player’s attachment to her as a human being and character. Finally, praise must be given for the facial animation. Despite some continuing issues with lip syncing in some side content as I reported in my first article, the vast majority of the conversations showcased an ability to express emotion through characters’ faces without veering into the uncanny valley. It is wonderful in its simplicity, not striving for total photorealism or the fidelity of good motion capture but content and confident with its own method. Unfortunately, it is undermined slightly by the flat shot reverse shot pattern that is repeated ad nauseum for all of the conversations that occur fully in-real time, as opposed to the more carefully crafted cutscenes. You will notice it eventually, and you will never un-notice it from that point on. The story that is relayed by all of this voice acting and animation is really two stories, albeit with the ancient past influencing the modern proceedings in many ways both hidden and apparent. In the game’s present, the plot itself that plays out is fairly standard action-RPG faire; a looming threat that only our protagonist knows the true nature of, and must travel the world to gather help and prepare by doing favors and righting wrongs to unite the people. It is the unique and stylish setting in which the narrative unfolds that lends it the opportunity for fresh scenarios, the blending of incredible technology that is effectively magic to the (relatively) primitive peoples of the game’s present with their feudal, tribal aesthetics and variety of cultural and societal systems and beliefs. The real treat here, which I won’t discuss at length to allow the maximum impact, is the truly emotional and chilling story of how the world came to be as it is. Unfolding through wonderfully written and immaculately detailed text and audio content, as well as some hologram videos, each foray into an ancient bunker or facility gives the player small pieces of the puzzle. The broad strokes of what occurred are nothing incredibly new or innovative to anyone who is even remotely into science fiction, but the sheer amount of work put into giving you names, dates, casualty reports and the nitty gritty of what went into attempts to avert the crisis and beyond are engrossing. I detest the audio log method of storytelling, but Horizon does it so damn well. There was but one point, in one of the final story missions, where I felt like there was a bit too much of an exposition dump where I had time to stop and realize just how long it had been since I had done anything but walk around the same few rooms listening to the dozen audio files I was picking up. In her travels between major settlements and spelunking in old science labs, Aloy fights an endless number of machines, sometimes too many – I found myself getting frustrated by machines always being on the only path/chokepoint leading to a main story mission, forcing me to expend resources to kill or evade them before getting to the mission and fighting even more of them. It got to the point where I was wondering how anyone else could get around who wasn’t a badass hunter (I’m looking at you, random merchant lady sitting around a massive Glinthawk hangout). It is quite possibly my only significant problem with the game, because it took the best part of the gameplay and actively made me dread it for a considerable period of the main questline – just once I wanted to get somewhere without having to stop to fight every few hundred meters. Fortunately, Aloy has quite the arsenal to deal with these mechanical monstrosities. Her basic spear is admittedly disappointingly simple in its employment – a light and heavy attack which excel at destroying armor/components and knocking targets down, respectively. There is no block function for fighting human opponents but of course they have one, so as soon as anyone closes the distance it’s time to spam the dodge button. Fighting humans is substantially less engaging due to simplistic, easily-exploited AI and the inability to participate in meaningful close quarters combat. Melee combat quickly grows tiresome, especially when compared to the in-depth ranged and trap-based combat. No less than three different bow types, each with upgraded variants, fill out a variety of roles with their varying damage, rates of fire and ammunition types. My favorite arrow type by far is the Tearblast, a low-damage variant that instead has a compressed air charge attached that blasts armor and components off with ease. Everything from the sonic boom it makes to the satisfying shower of metal that results never got old during my 50 hours of play. The Ropecaster can tie down machines for further punishment, while slings and Tripcasters provide direct and indirect damage-dealers as well as elemental effect ammo. Combat is all about three things – stealth recon, planning and setting the field, and using the right tool at the right time when things kick off. Reading up on and studying how to expose a weakness and when to exploit it plays like a Witcher 3 monster hunt, except there can be three or four wildly different machine variants in one combat encounter, each calling for a different approach. Horizon’s combat rewards not only the aforementioned planning, but also trial and error. In place of boring, linear tutorials, each new weapon purchased or acquired comes with its own side challenge, which rewards XP upon using the weapon a certain number of times in its intended way. This helps the player learn through practice and gameplay, feeding into the core gameplay conceit that half of the fun is figuring out just how the hell you’re supposed to kill that robot T-Rex with guns hanging off of its head and both shoulders. This XP, which also comes from completing quests and both damaging and defeating enemies, awards skill points which can be put into three trees, broadly focusing on stealth, combat and crafting, similar to the later Far Cry titles. These skills expand your abilities in meaningful ways rather than just making numbers larger, and almost none of them are wasted expenditures. I also ended up with almost all of them by game’s end, favoring crafting early on (which I recommend), but then I did play a large amount of side content. This, alongside the weapon and armor modification system, rounds out the character customization options, with the mods in question allowing for some truly devastating combinations when gear with more upgrade slots and better upgrades are unlocked (Tearblast arrows with a near-double effectiveness boost is a sight to behold). It should be plainly obvious by now; I love this game. Horizon is a triumph of worldbuilding and storytelling by any measure, and on top of that Guerrilla Games took a genre they had never worked in prior and not only succeeded, they brought something new to the table with their unique blend of strategy and frantic action against overwhelmingly superior foes. Horizon is a breath of fresh air, a proud notch in Sony’s exclusive belt and, most importantly to me, a reminder about why I play video games and what they are capable of.